Taste the DOUTOU Clams (哆头蛏) Exclusively Available at Putien Malaysia Only! Have you ever tried DuoTou Clams（哆头蛏）? 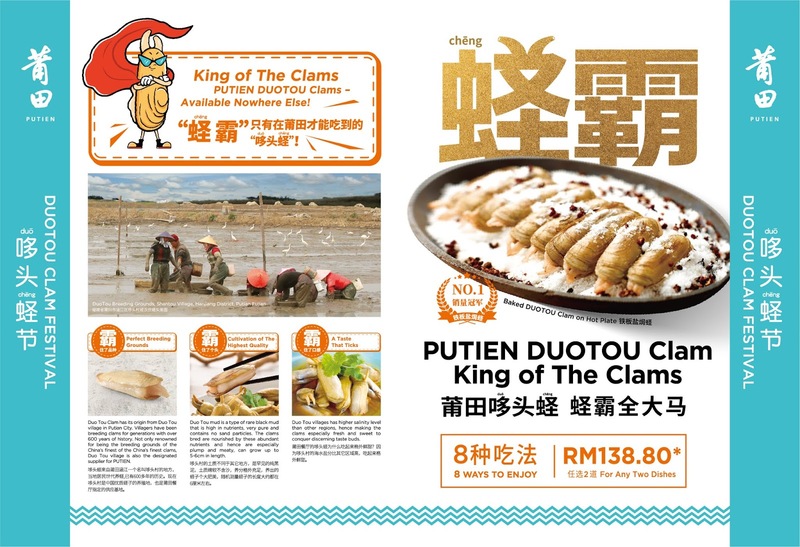 Good news now as you can try this King of The Clams exclusively at Putien Gurney Paragon! Only Putien in the entire Malaysia is offering this clams that originated from Duo Tou Village in Putian city, China. Comparing to normal clams, Duo Tou Clams offer a fresher and sweet taste. This is due to the clams grow in Duo Tou villages that have higher salinity level. On top of that, the clams are bred and nourished in a type of rare black mud that is high in nutrients and without presence of sand particles. Therefore, they are plump, meaty and grow up to 5-6cm in length. 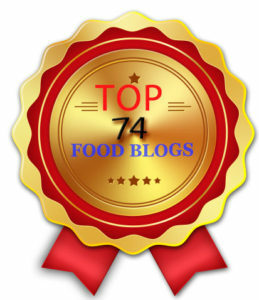 Having said that, you are actually testing finest of the China's finest clams that has a history of more than 8 years. 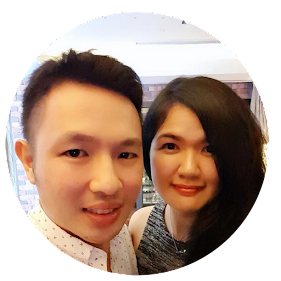 The Dou Tou clams offer are available in Putien from 1st April till 31st August 2019 only. 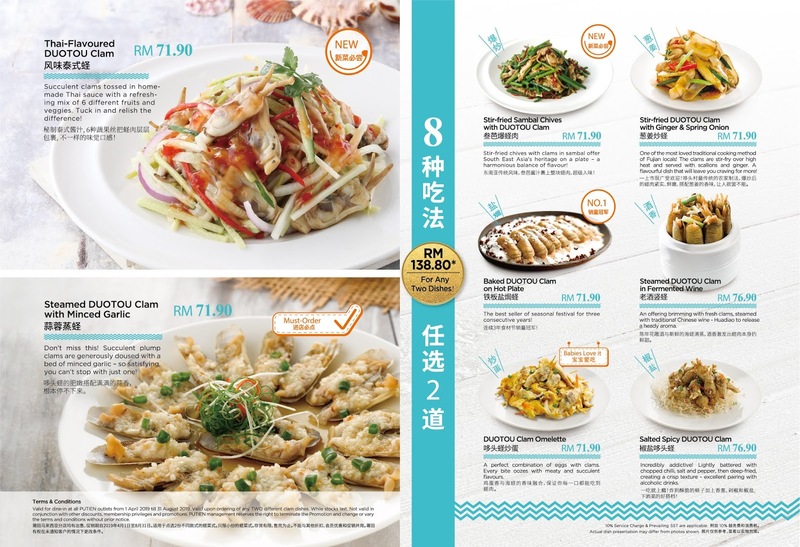 You can have 2 of the clam dishes for RM 138.80 for the promotion offered by Putien. First and foremost, if you were to compare DouTou clams to normal clams, then you can see DouTou clams are bigger in size and they have a distinctive ear features. They offer a more juicy texture and a well rounded biting sensation. For those who prefer a stronger taste, then Thai-Flavoured, Stir-Fried Sambal Chives or Salted Spicy DouTou Clam are the choices to go. The Thai-Flavoured tasted like Mango Kerabu with 6 different fruits and vegetables and the sour-spicy sauce gives a nice body to the fresh DouTou clams. Personally, I enjoyed the Asian touch in the Stir-Fried Sambal Chives with DouTou clams. Crispy texture contributed by the fresh chives complemented the meaty clams well, giving an alternating sharp contrast in the biting texture. On the other hand, the salted spicy version allows you to enjoy the clams as a snack. It is deep fried then lightly seasoned with chopped chili, salt and pepper. Best to have it with some alcohol drinks. The conventional Chinese cooking - steamed with minced garlic or stir fried with ginger & spring onion would not go wrong with the DouTou clams. Baked DouTou Clam on Hot Plate is the best seller of seasonal festival for three consecutive years. It retained the originality of the clams with a hint of pleasant sea salt taste. For Steamed DouTou Clam in Fermented Wine, there is a soothing scent of traditional Chinese Huadiao Wine that gives it the clams an elevation. Nothing can goes wrong when the Huadiao Wine comes in cooking. If you are a fan of oyster omelette, then you can have DouTou clams Omelette by having the oysters replaced with DouTou clams. Let the egg aroma complements the natural taste of clams and make it a wonder to enjoy. Book your visit to Putien as this offer of DouTou clams are available exclusively from 1st April till 31st August 2019 only!